Choosing a voice to represent an organisation requires a deep understanding of branding. Matthew Brown looks at how voices are chosen for on-hold messages. An on-hold message is often the first thing a customer will hear when calling an organisation. It is very important that the voice used in an on-hold message creates a good first impression. The sound of that voice will affect the customer’s perception of a brand, their satisfaction with customer service, and their sense of loyalty to a company. Choosing a voice can be difficult. Callers will inevitably have some expectations about what they’ll hear when they call a company, and these can be used to guide the selection process. An on-hold voice must first of all match the general image of the company. For example, over-50s insurance and holidays company Saga would be unlikely to have an on-hold message read by a person in their early-20s, who used informal speech and lots of the latest slang terms. Knowing the customers is essential. According to Mike Cook, Head of Production at audio branding specialists PH Media Group , there is a science to choosing the right voice for each individual company. “We go through an audio branding process with our clients, looking at their industry, location, whether they have a regional, national or global client base, whether their company outlook is corporate or quite informal,” said Cook. 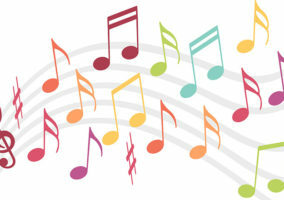 Once a profile has been established, a company can be matched up with a suitable voice. A local company operating in only one area will often want to reflect that in its on-hold messages. A local voice will therefore be the best match. But what kind of accent should a nationwide or international company choose? Historically, a well-spoken ‘Received Pronunciation’ accent has often been used by large organisations. This trend reflects the way in which on-hold messages and audio branding follow trends in broadcast media such as television and radio. The old stereotype of the posh BBC newsreader has gradually given way to a much broader range of regional accents on national television and radio, and that has had a knock-on effect in call centres. For example, mobile phone provider O2 uses the voice of actor Sean Bean in its advertising campaigns, with no attempt to disguise his distinctive Sheffield accent. Broadband supplier Plusnet uses voice artists with Yorkshire accents, to tie in with a marketing strategy that uses the company’s Yorkshire roots as a selling point. Another example is provided by two companies from Scotland, Standard Life and Scottish Widows. Both are Scottish companies with a UK-wide audience. “Scottish Widows is happy to be seen as Scottish and markets itself as such, with a very strong visual brand, whereas Standard Life isn’t so strongly identified as Scottish,” said Nick Findlay, CEO of Premier Business Audio, which supplies on-hold marketing messages. Premier Business Audio uses an Edinburgh voice artist for the Scottish Widows on-hold messages. This gives callers the impression that the voice of the messages is the voice of the Scottish widow. Trends in the regional accents heard on national TV change over time. Companies follow these trends because. like TV, they seek to communicate with a mass audience. Over the last few years, North East English, Scottish, Welsh and Irish accents have all gone through phases of popularity on UK-wide television. But whatever the regional accent, ensuring that callers can understand the message is of prime importance. “One of the reasons people don’t want contacts with people outside their own area is that they can’t understand what they’re saying very clearly, so we want our voice artists to retain a kind of background essence of where they’re from, but perhaps tone down their accent a little,” said Findlay. The choice between a male or female voice is less clear-cut than the choice of an accent. Unless a brand is marketed at one of the sexes exclusively, there isn’t usually an obvious best option. In certain industries, a male voice may work better than a female voice, and vice versa. For example, police phone lines may use male voice messages because victims of crime find a male voice more reassuring when reporting an incident. In contrast, female voices may be more effective for customer-service IVR. 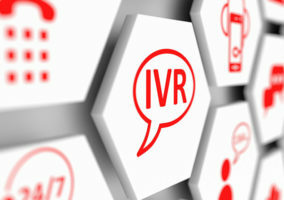 “It’s in the nature of IVR, press one for sales, press two for maintenance, for example, we tend to find a female voice more effective,” said Mike Cook. Once again, it comes down to the demographic profile of the callers. According to Nick Findlay, male callers are less likely to have a preference when it comes to on-hold voice than women, because they favour speed and a short waiting time. Many organisations, when planning a new on-hold message, want to use one of their existing employees as the voice. A particular employee in the business – for example a long-serving receptionist – may already be known to customers as the voice of the company. Recording an IVR system and on-hold messages can be a painstaking process, and a professional voice artist is often a better option. 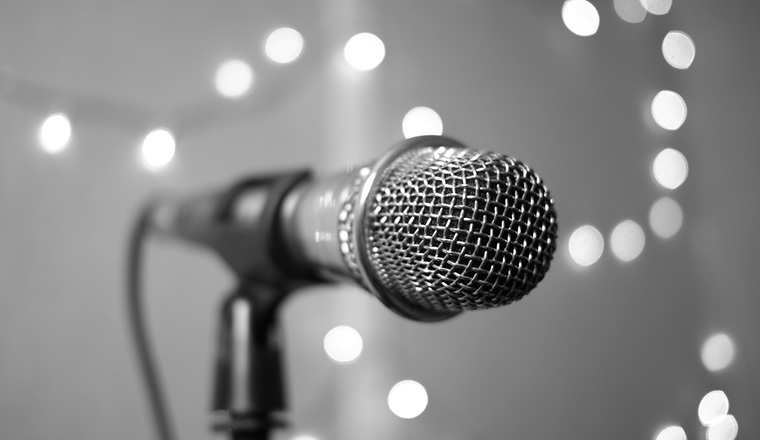 “Some people do have a very nice speaking voice, but if you put them in front of a microphone and a script the result is usually very monotone, lifeless, and the character in the person’s voice has been lost in the recording process,” said Mike Cook of PH Media Group. Professional voice artists can also read a script more quickly than an employee, whilst retaining the all-important clarity of speech needed to produce an effective message. That cuts down the length of a message, thus reducing the customer’s potential frustration at having to wait. Using an existing employee as a cost-saving measure can also backfire, because the employee may leave the company, and you may have to spend more money replacing messages that used the employee’s voice. Choosing the right voice for an on-hold message is about knowing a brand’s image inside out, and finding a voice that represents that. There is no single right voice to choose, and it may be more a case of avoiding the wrong voice. Neutral accents lend themselves to national and international companies, but as in the case of Plusnet, sometimes a clearly regional voice is more appropriate. The key is in choosing a voice that fits the customer’s expectations. How do you choose the voice for an on-hold message? Share your comments below. The basic criteria of communication or accent is that one should understand what the other person is saying and vice versa. Communication is a crucial part of globalization. This globalization has created revolution in entrepreneurship and outsourcing. The need for speaking in a neutral accent has been growing today because the customers and the clients have to interact in a universal language in a globally acceptable style and accent.